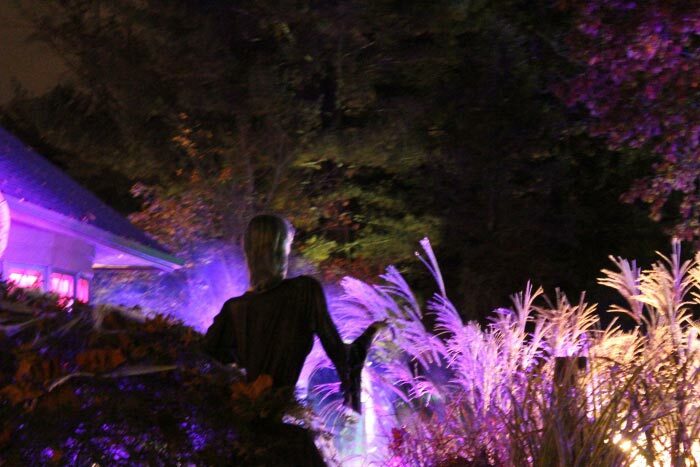 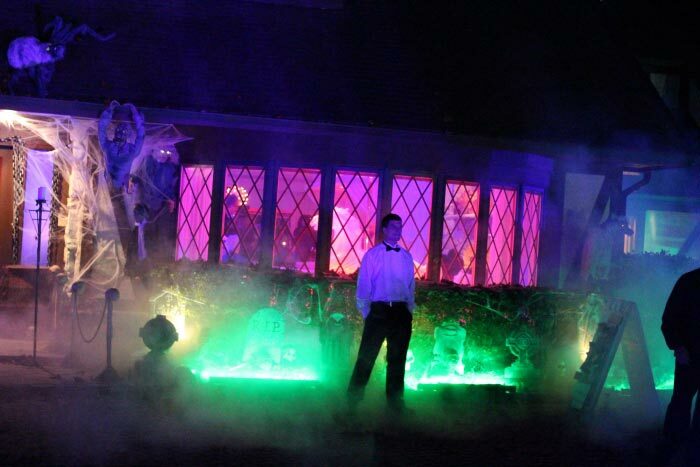 This specific client needed effects for a VIP party at his home that would include live actors, side shows, magic acts, and an acres worth of special effects. 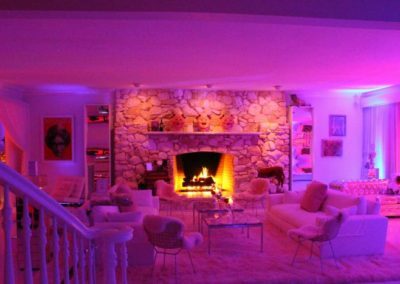 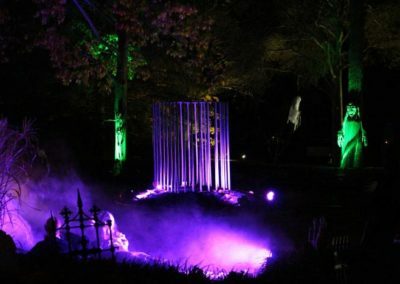 The challenge was to create a truly unique feel with various modes of lighting and special effects that would compliment his horror theme. 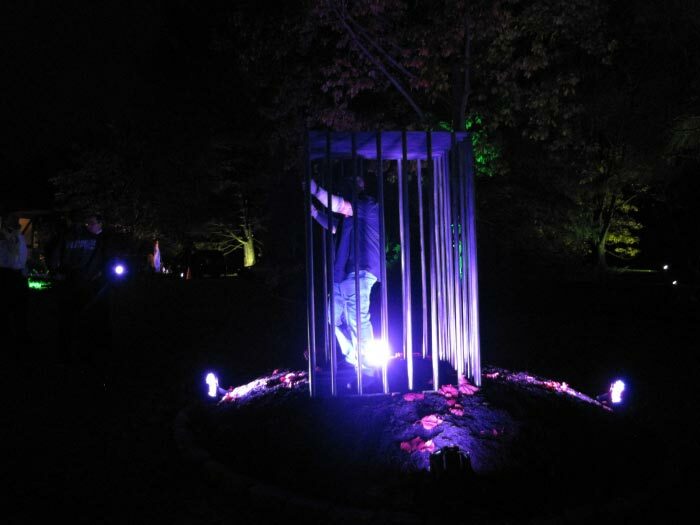 DFX fully lit the entire area from the front lawn to the tree tops. 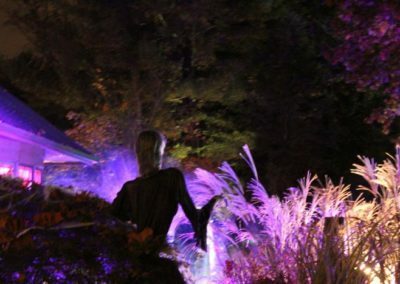 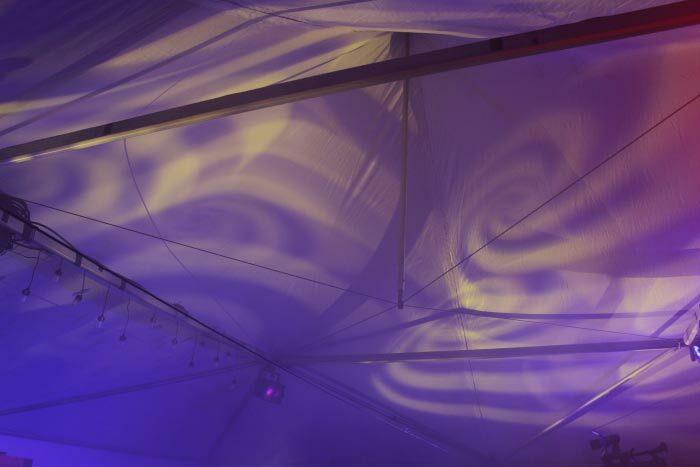 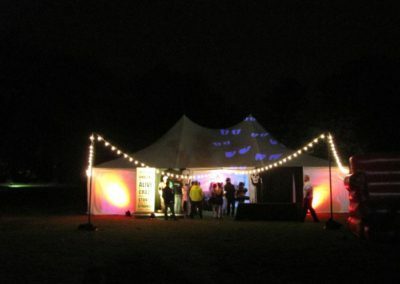 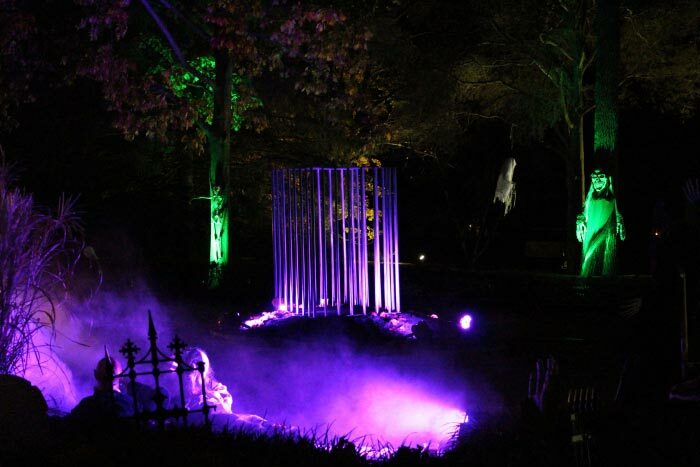 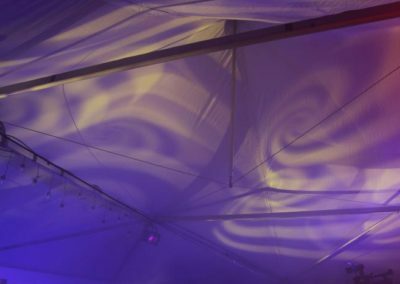 In addition, colored lighting was brought in to illuminate a special side show tent in the back yard. 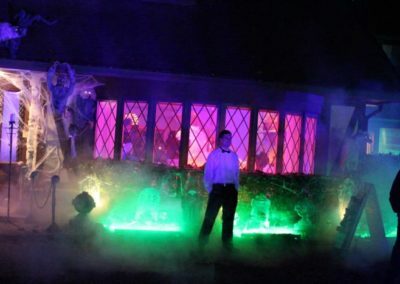 The client was especially interested in the creation of a low lying fog that gave the effect of rolling across the property lawn and arrival area for the party. 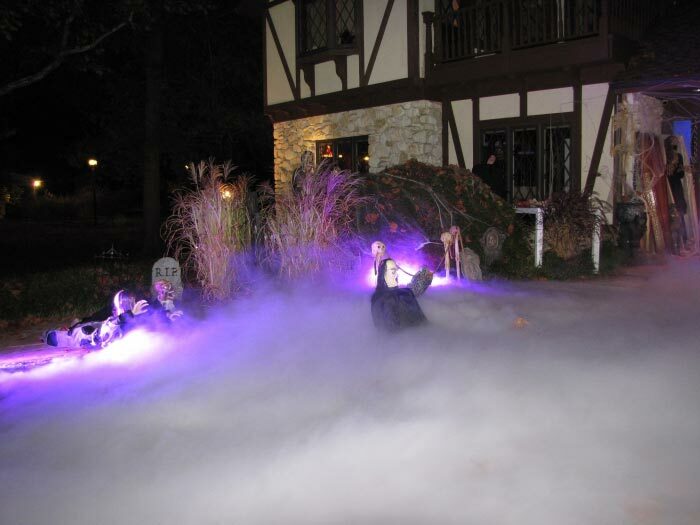 To accomplish that goal, DFX supplied two large fog machines that used over 750 lbs of liquid CO2.